A mum and her three children have been thrown out of their home and are now living in a garage after running up thousands in rent arrears. 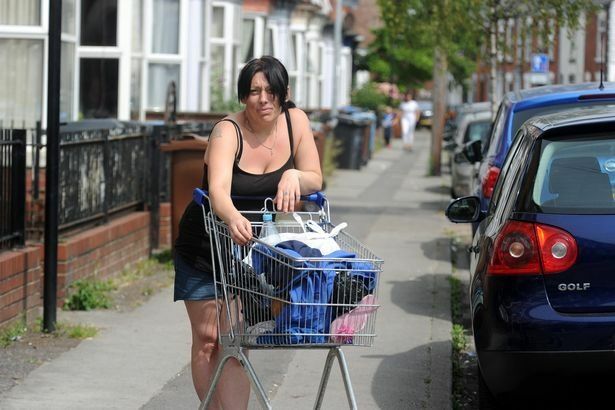 According to the council, Colette Tomassi owes £3,000 in unpaid rent and claimed her 8-year-old child was having a “detrimental” effect on the neighbourhood, the Hull Daily Mail reports . The family were sleeping on a mate’s floor in Bransholme but for the past few nights they have been residing at the Marlborough Hotel in Spring Bank. However, their stay has now come to an end meaning they have been turfed out onto the streets with all their clothes and essentials piled into bin bags and carrier bags. “Our four days is up and we’ve got nowhere to go,” Ms Tomassi said. “The rest of our stuff is still in storage but we’ve only got that until August 8. Ms Tomassi and her family are due to meet today with Target Housing – a charity which offers temporary supported housing to people who are homeless or at risk of ending up on the streets. Yesterday, the “devastated” mum was forced to use a soup kitchen to feed her children and she is worried about them coming into contact with drug users if they do end up homeless. Ms Tomassi fears her children may end up being taken away from her and she is desperate for her sorry situation to be resolved. “My kids are knackered and they are totally lost. We don’t know what to do or where to turn so we’re just walking around with bags with our stuff in. “It’s horrible. It’s absolutely awful and I fear we are going to lose everything in the garage. They are trying to get us funding for one more night at the hotel but what is that going to do? “Today is the first day where we’ve actually had nowhere and I’ve got no clue of where we’re going to go. “I am worried about what my kids will see if we end up on the streets. Kids shouldn’t be seeing things like drugs because they are only young and I think social services would probably take them off me. 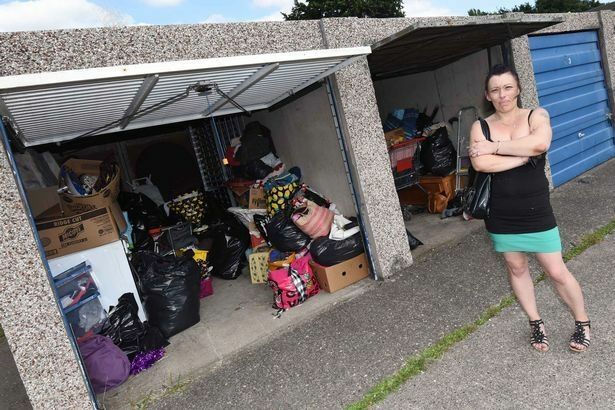 Ms Tomassi was evicted from her home on July 10 and Hull City Council said it had to take action given the substantial amount of rent owed and the disturbances caused in the neighbourhood. A spokeswoman said: “If a tenant is having difficulties complying with their tenancy agreement we always try to work with tenants to solve any problems, with eviction being the last resort. “In Ms Tomassi’s case, we were left with no option but eviction due to escalating rent arrears and the detrimental effect of her behaviour in the neighbourhood.